Private William J. McDonnell. Co. I.
William J. McDonnell enlisted in the Army and mustered into Co. 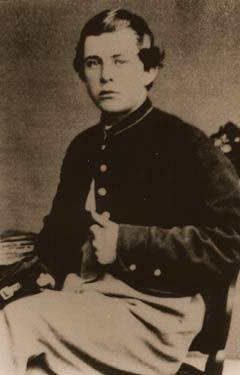 I., 62nd NYSV as a Drummer on 3rd September, 1862 at the age of 16. He mustered out at Fort Schuyler, NY on the 30th August, 1865 with the rank of Private.